During my undergraduate years at Oregon State University I decided to take a break from my rigorous microbiology studies and explore a world different from my own. In search of a global reminder for why I wanted to pursue medicine, I chose to intern with CFHI during my Junior year. The place was India. 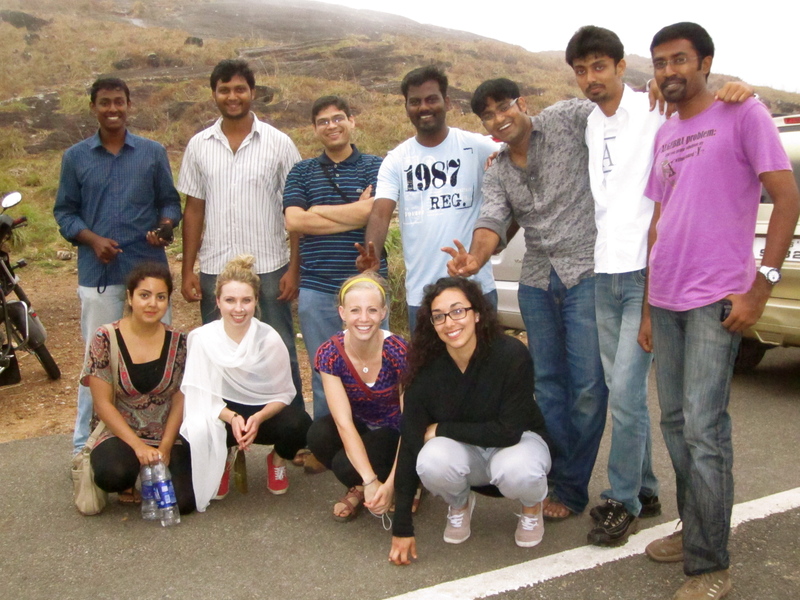 My first time in India transformed my life in many ways. Not only did I leave with an increased global perspective and cultural appreciation, I left with a renewed passion for healing. During the first week of rotations students accompany local Indian health care professionals (doctors, nurses and social workers) in a series of lectures given by Pallium India staff. The purpose of these lectures is to introduce the field of Palliative Medicine and it’s role in India. Lecture topics include introduction to palliative care and pain, pain assessment, grief and bereavement, and medical communication. The cultural, academic and lingual diversity among interns and local professionals was incredibly beneficial. The Pallium India staff does a wonderful job of uniting people across cultural and professional barriers. By the end of our time together we felt like family. The last three weeks of the program are spent rotating between urban and rural homecare visits, hospice visits, lectures, and observations at the local government hospital pediatric outpatient clinic. There is also the opportunity to attend home visits with Pallium India’s physical rehabilitation team. Every week there is a Pallium India team meeting held at SUT Royal hospital. Attendance is beneficial for developing an understanding of how Pallium India functions as a rapidly expanding NGO is a developing nation. Homevisits begin at SUT royal hospital where teams of nurses, doctors, and volunteers assemble before heading off to various areas within and outside of Trivandrum. The teams, typically between two and three, leave the hospital around 9:30 am and return in the early evening around 4:00 pm/5:00 pm, with a short, late morning tea break and an hour for lunch in between. Each team travels together in a small van. Generally speaking, two students would travel with one team and the other two with another. However, certain sites, such as Kattela Hospice Care Center and the Government Medical College pediatric clinic at Sree Avittom Thirunal Hospital for Women and Children (SAT), permitted students to travel as a group of four. The last week is usually scheduled for homevisits, however if planned ahead of time interns may request to spend more time in the area of their choice. 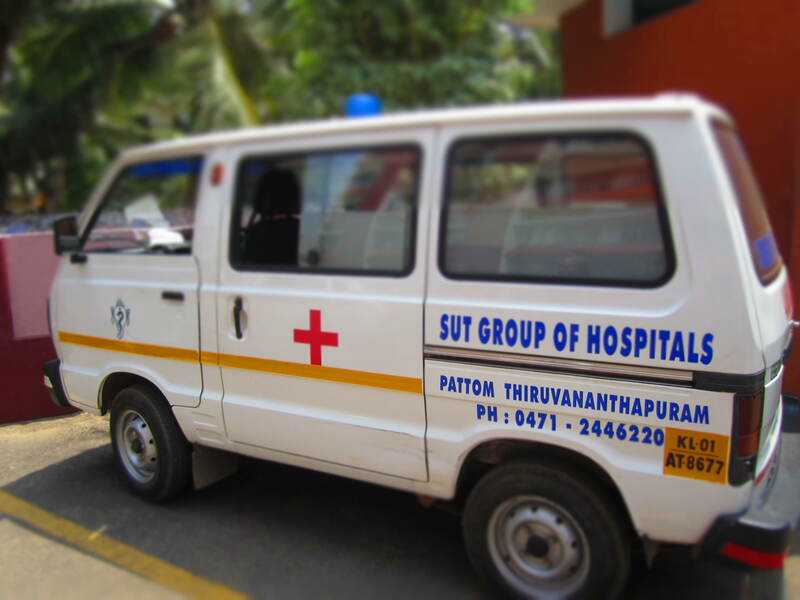 Pallium India extends care to people who are unable to travel or cannot afford the journey to the inpatient clinic at SUT Royal Hospital. Medicine and treatment is free for patients and families who cannot afford the means to pay, however rarely a patient will have the means to pay for treatment, and if this is the case they do. The majority of patients we saw are suffering from terminal and chronic diseases/disorders. We saw many cancer patients along with cases of muscular dystrophy, stroke, paralysis, and others. The majority if patients are older, so I very much enjoyed our time at the pediatric outpatient clinic in the government hospital. There we were able to see more unique cases affecting young patients that varied from the majority of cancer patients we saw on home visits. However, be prepared that this is an observational internship, and unless you have sufficient experience in patient care there will be long periods without translation. I found these times to be equally as valuable because we were able to observe the non-verbal communication skills that are so much a part of Palliative medicine and healing in general. I also used those times to write and reflect in my journal. India has so much to take in, cherish the moments when you are still and able to do so. As foreign students whose role is almost all observational, we were at first nervous about intruding in patients homes. However, the majority of patients and families were incredibly welcoming and happy to have us in their homes. They realized the importance of our first hand education and were thankful for our presence and hoped that we would share their stories to people in our country. 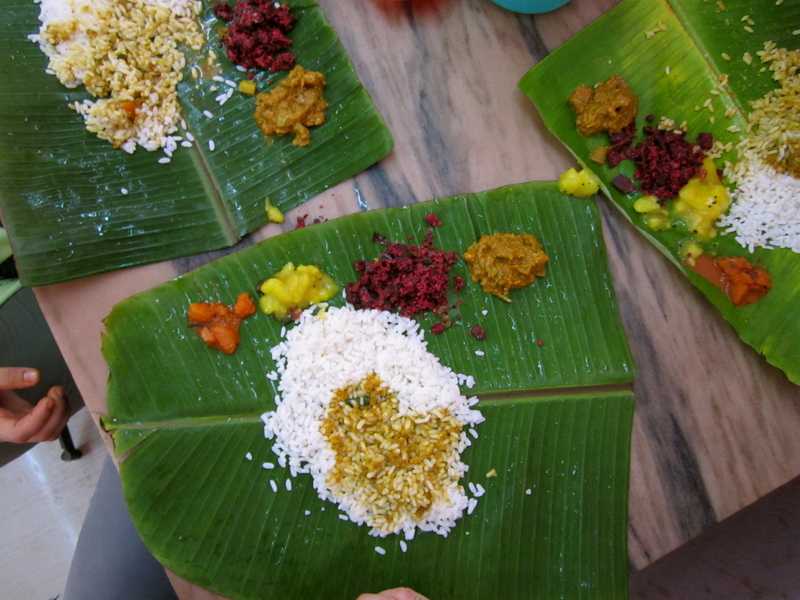 Traveling in India is an experience one can never forget. The constant commotion and volume of people fighting to get on to local buses and trains can be a bit overwhelming at first, but with time it became one of my favorite parts of living in India. The key to surviving the hectic morning commutes is to keep everything close to your body, remain patient and most importantly have a good attitude. If you maintain a good sense of humor and an open mind, nothing with get below your skin. If you are running late or are traveling late at night, auto-rickshaws are also available. These usually cost about 20 rupees and can be worth it if you are unsure of your location or if you are running low on time. Be sure to travel with another person late at night. Remember to allow enough time for your morning commute to the hospital or Pallium India office. Loyola college is a bit farther out of the city and requires you to plan ahead for travel time. One of the most magical things about living in India is the dress. The colors are vibrant and the cloths are comfortable. Indian people really appreciate when you dress in local attire (not to mention it’s fun!). Please remember that India is a conservative country and women do not show a lot of skin. Avoid wearing shorts, tank tops and tight clothing (despite the heat) unless you are at a tourist beach. 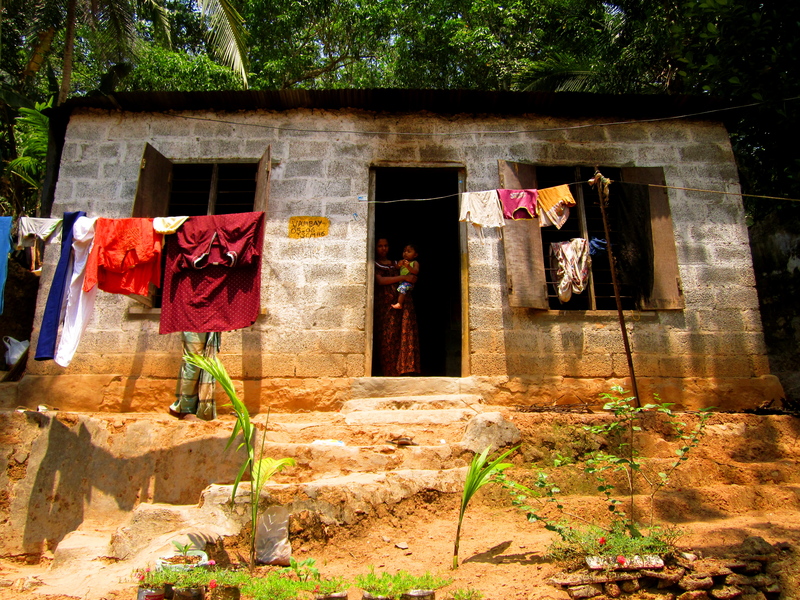 Kerala is a beautiful state with much to offer when in comes to natural beauty. 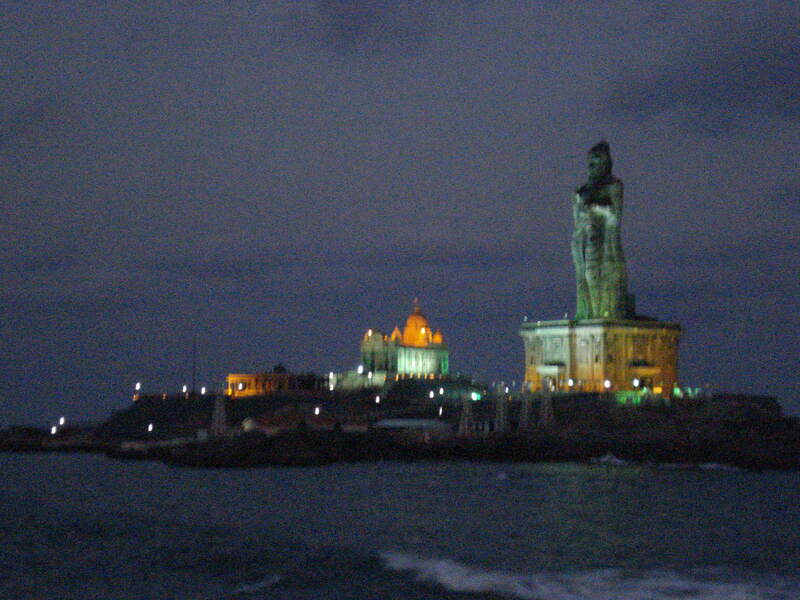 Located on the Southernmost coast of India there are beautiful beaches and sacred sights. Inland there are stunning hill stations and jungle-like environments. 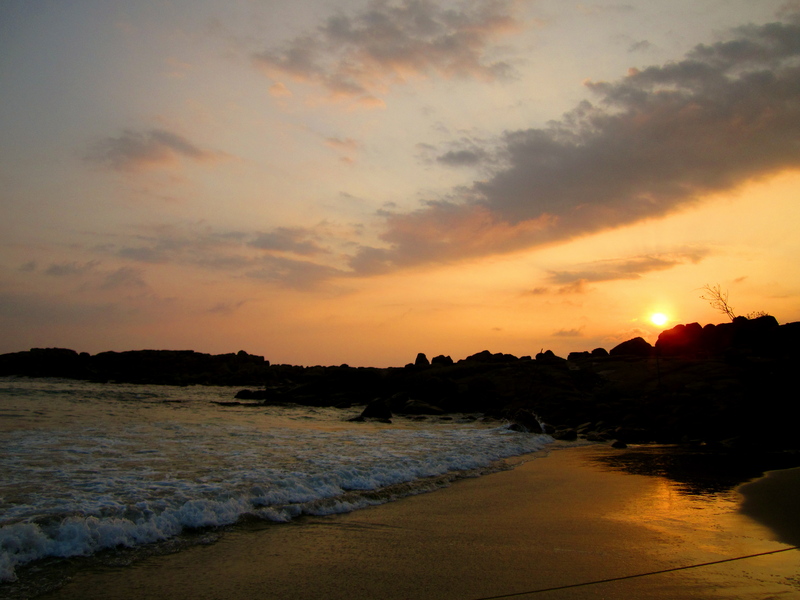 Don’t forget to explore the Kerala backwaters in Allapee and the beaches of Kovalum and Varkala. Also, keep an eye out for frequent listings of local events, such as music or cultural festivals that can be found in the daily newspaper. There are many things to do in the city if you keep an eye out! As I imagined when flying back to India a month ago, the country would touch me in ways that I cannot explain. The sense of calm that I have in a sea of palm trees and chaos is something you cannot imagine unless you are there to experience it yourself. India is a place so different from home. The colors, the smells, the sounds, the people, the landscape, the chaos, and the ultimate peace are so unique and healing. And on top of the incredible things I am taking away from the country personal level, Pallium India has left me with invaluable insight into what I want to dedicate my future career to, and how I want to conduct myself on a personal/professional level. 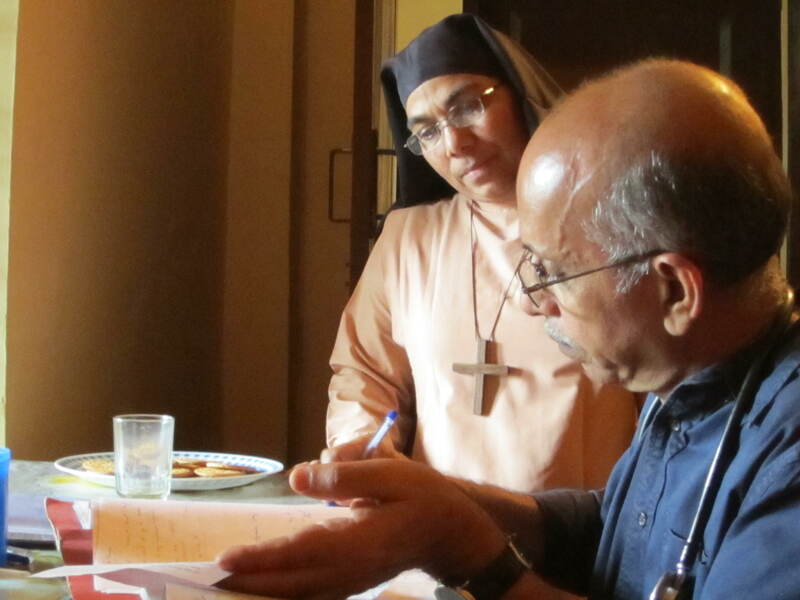 My experiences at Pallium India greatly improved my knowledge of pain management and end of life care. I learned about morphine myths and realities, its role in treating chronic pain, and despite its low cost the difficulties of obtaining it for those who need it. I learned about proper medical communication and the best ways to interact with patients and their families, and the importance of continuing to listen to what they have to say. 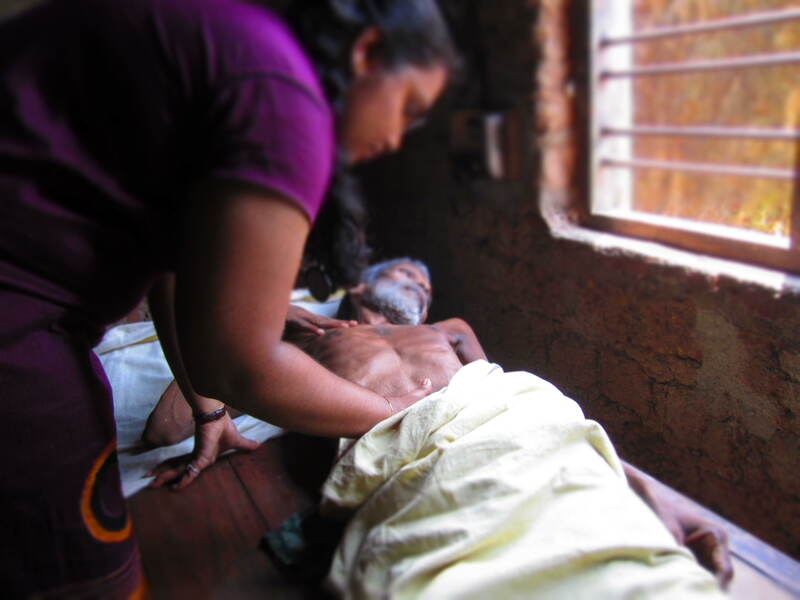 One of the most important things I learned is that Palliative Medicine is not only lacking in the developing world, but in the world as a whole. The ideals, communication styles and approaches to healing that Palliative medicine prioritizes do not belong exclusively to Palliative care, but to medicine as a whole, and they can be easily forgotten in practice. It wasn’t medical knowledge that was most important thing about program, for if it was pre-medical interns would not be grouped together with medical professionals. It is the human side of medicine that was most important: not losing sight of the physical, spiritual, and emotional components of your patient, and most importantly giving them time to be heard. The lessons that Dr. Raj, and the Pallium India team taught me both directly and indirectly were not just about healing, but about life. I took in their important messages of healing that they are so dedicated to, and I also left them a message of my own. And so my trip to India had come to a close and I left to continue my year-long solo journey abroad. Now, as I sit in my frigid Andean apartment overlooking Cusco, Peru, I feel a rush of warmth enter my body as I reflect on my time in India. Almost a year ago, I decided to take this time to explore the world and the possibility of new career paths that my degree in microbiology blinded me to. But as I pack up my apartment and my English teaching materials I reflect on my time in India and my experience with Pallium India and I know that healing is my destined path. 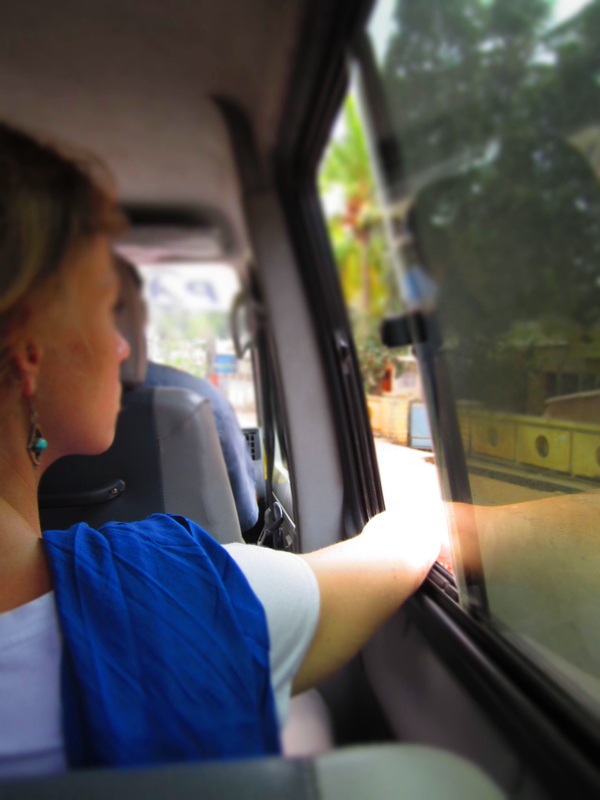 My time with Pallium India left me feeling confident in my personal and professional goals and abilities, and inspired to be part of the movement of Palliative care. I know that I will strive to heal with same mentalities Dr. Raj and the Pallium India team do; and I know that I will make my way back to India in the future, perhaps then with the ability to heal with my hands as well as my heart.